Any of you can play DVD video on Apple devices like iPhone, iPad or iPod Touch with the help of WonderFox DVD Video Converter. This DVD converter can remove DVD copy protection and easily convert DVD content into your Apple devices. As the most popular Smartphone in the World, iPhone gives its users a lot of surprises. It offers best user experience and a huge number of useful apps. What’s more, the amazing media functions are awesome for iPhone users. So, if you want to enjoy your DVD on your iPhone, just follow the instruction as the image shows below. Compare with iPhone, iPad has a bigger screen. As a tablet computer, it can shoot video, take photos, play music, games, with GPS navigation, social networking and perform internet functions such as web-browsing and emailing. Actually, it is amazing by using iPad to enjoy different videos. With Similar design and size of iPhone, iPod Touch is a great portable music and video player. If you want to play your DVD video on a portable mobile device, iPod Touch is a good choice. 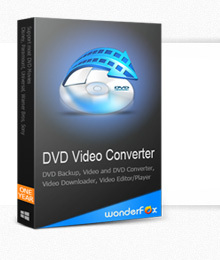 And WonderFox DVD Video Converter can help you rip and convert DVD into your iPod Touch. This professional DVD converter is capable to rip and convert DVD video into almost all Apple devices include iPhone, iPad, iPod Touch, iPad Nano, iPod Classic and Apple TV.